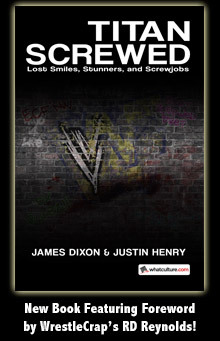 Art0Donnell, Author at WrestleCrap - The Very Worst of Pro Wrestling! - Page 4 of 7 Archive | WrestleCrap – The Very Worst of Pro Wrestling! Induction: Chyna on Sabrina the Teenage Witch – How’s that for piledriving Miss Daisy? February 4, 2019 on The WrestleCrap Archives – Now Online and Available Via Patreon!